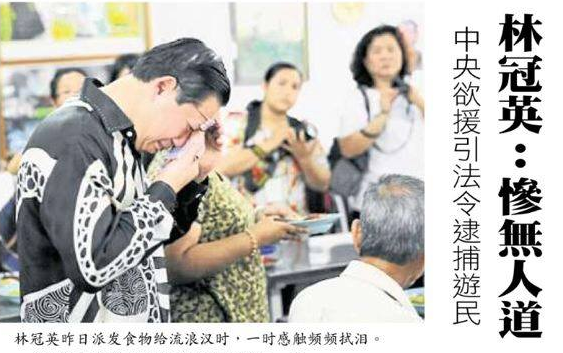 The soup kitchen issue has landed Lim Guan Eng in the soup at least as far as mymassa.blogspot.com is concerned. 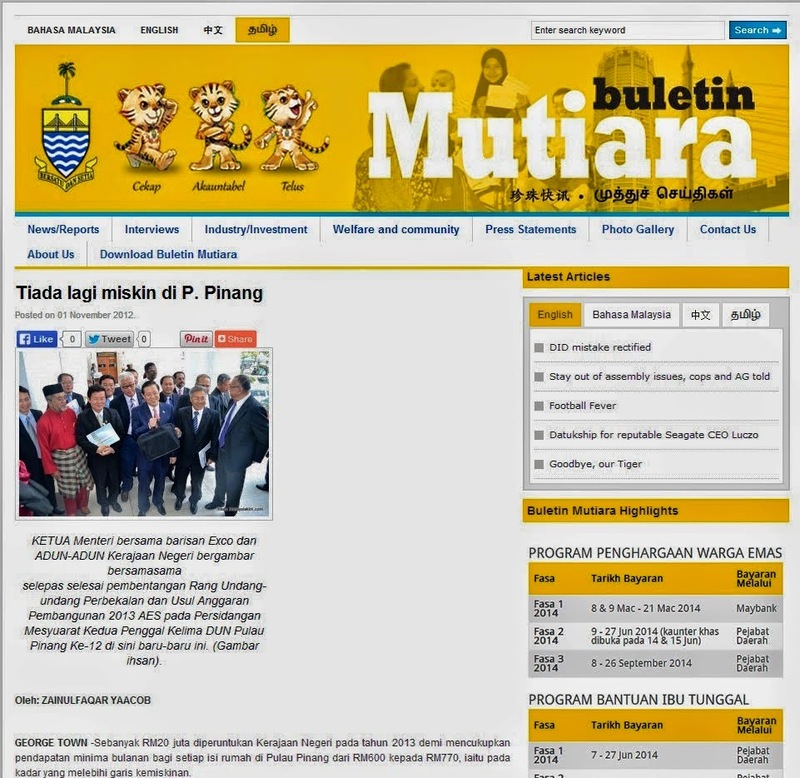 The blog has accused the Penang Chief Minister and DAP big boss of being so eager to score political points with the soup kitchen controversy that he forgot he had declared way back in 2012 that the poor in Penang was no more (Tiada lagi miskin di P. Pinang). we have to get it done ASAP. i start the ball rolling by gathering people who cant berak. and will draw a schedule for guan eng to come over and score some cheap points. maybe blame city hall for cannot berak. or anyone as long as he can score cheap points. we get the tissue ready. Tu ramai beratur kat masjid dan surau untuk bubur lambuk, apa benda tu? LKE just want to score some political points in whatever he is doing just like his father. What have they done thus far for all the pendatangs, they are voted because of the resentments of the people for the Umno schmucks. Most important of all is that there is no other creditable oppositions in the country right now. That does not mean this would be the case forever and it would have come much earlier if not for the millions of professionals who chose to immigrate. That is why the home minister is asking more to immigrate ! as for BN guys..ask your MACC or any other agencies to do more work..work overtime if neccesary to check any corrupt practices by him..
may god help you guys..
leaders do not worry about the follies of others - they are more concerned about what they can do! there a thousands if not hundreds of thousands of poor people in KL.who cant afford housing (forget decent housing) - who cant afford food(forget good food). please do something to help them - instead of being petty. which makes me conclude that perhaps 'god' is the problem. anyways - this country has no discipline - no will to change. Looking at the 1st photo it looks as though the tears are a signs of sympathy. After comparing it with the Mutiara print screen, the tears could very well be a kind self regret -- failure to walk the talking made in 2012.
there is a strong market sentiment leading to the sale of the eye drop for July may increase significantly. Ini babi bernama Guan Eng tiada kerja lain, Hidup dia tak lebih dari cakap melalui buntut dia. Ini orang perangai babi betul, satu sen pun tak guna. Paling baru konco dia P Ramasamy ada buat kenyataan rasis dan merbahaya masa dia putar belit amaran tan sri Muhyiddin akan perlu berwaspada agar Mei 13 tak berulang. Ramasamy rupanya juga penyokong tegar terroris LTTE Sri Lanka. ini selepas haramjadah sebut kalimah "celaka"
Kita tunggu dan lihat samada Kerajaan ada bola tak. I remember many years back there was this certain statesman of ours who cried and sob while saying he was resigning at the UMNO GA and then all his comrades rush up and cried and sobbed with him pleading him not to resign and he relented.I wonder if all politicians are good sandiwara actors or not..or is it for government to sandiwara is ok and not ok for opposition politicians?